Just a quick one today. Very busy at work. This one might not need my help, but I want to share the word of the new Goodman Games Kickstarter: Mutant Crawl Classics. I think I might like this better than Dungeon Crawl Classics to be honest. 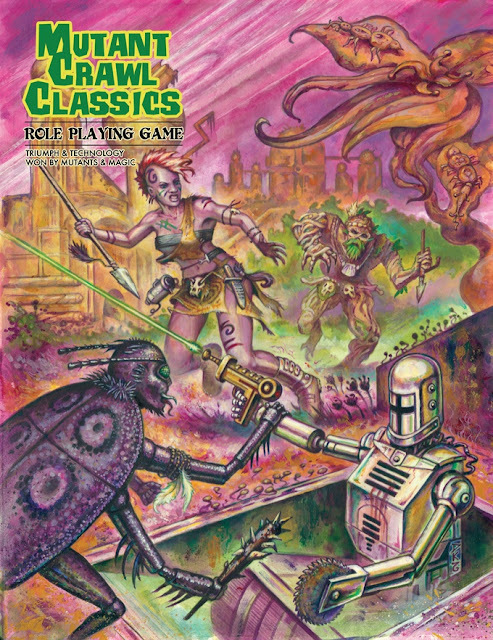 I have a soft spot in my heart for Gamma World and the type of gonzo play I associate with DCC works better in this world in my mind. I'm super pumped about this one. I love DCC and I think I'm going to love MCC just as much (though I've never played any postapocalyptic stuff).